As Cusco’s top of the line industrial unit, the Mastervac is the only series capable of handling both wet and dry materials, and is the optimal choice when working with anything from heavy sludge to fly ash, hazardous and non-hazardous applications. 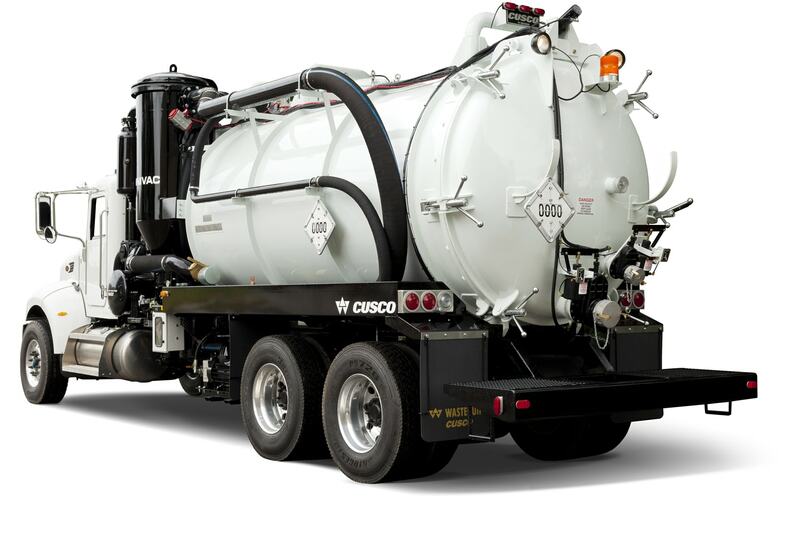 Equipped with self-cleaning cyclone/baghouse filtration technologies and airflow ratings of 5,500 CFM, along with 28″ Hg of pulling power, the Mastervac is outfitted with all of the standard features you have come to expect from a leading vacuum tank manufacturer and will handle the toughest jobs in all types of working environments. Available Options: High-pressure wash system, stainless steel tank construction, hydraulic suction boom, Hepa filtration systems, heated valves and pressure unloading systems, storage cabinets/toolboxes, DOT 407/412 and TC 407/412 configuration. Required Front Axle: 20,000 lb.